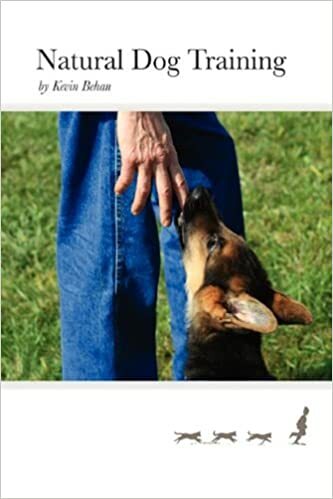 My profound gratitude to Joyce Miller, Scott Hamilton, Dr. Jean-Marie Thompson (and of course “Romeo”) for introducing Natural Dog Training to the academic community. Our talk was well-attended and I was gratified to see more than a few light bulbs going off in the eyes of the audience. As always, my challenge was not to do a “data-dump” which I am wont to do. I’ll leave it to the audience to judge how successful I was in that regard. For sure the highlight of the conference was the keynote speech by Temple Grandin and for me the takeaway point was her statement that animals form a sensory impression of their world through sight, sound, smell and touch rather than through a rational linear construct of reality. In other words, their mind derives from a visceral interface with their surroundings, rather than according to the intellectual abstract constructions that derive from the human intellect. I interpret this to mean we should interpret animal behavior in terms of emotion and feelings rather than inserting our human logic into their behavior. She frequently quotes Jaak Panksepp’s findings on emotion and his emphasis on its pre-verbal, non-cognitive foundation and she remonstrates along with him how long and difficult the road has been to introduce the notion of emotion into the scientific discussion of animal behavior. The good news is that their emphasis on emotion is beginning to prevail and if I may chime in, NDT is not late to that party, emotion has been the entire scope of Natural Dog Training since the 1970‘s. I believe the only logical conclusion that can be drawn from Dr. Grandin’s remarks is that an animal does not see itself as a self, separate and distinct from its surroundings. Taking her statement completely to heart, the only logical interpretation is that emotion configures an animals’ mind around the principles of energy, the same principles around which the very bodies of the animals have evolved around. Its surroundings become integrated into its sense of a self. This means that all behavior is a function of attraction, of becoming incomplete when stimulated, and then wanting to return to emotional neutrality, to feel whole again. In my view we’re only half way there. Just as it was hard to get science to accept emotion as relevant, it will next be necessary to let energy into the paradigm. Science immediately dismisses this as mysticism or vitalism, but never forget it also dismissed emotion as anthropomorphism. Emotion is animal energy so that when an animal is emotional, it must move. (Stress is when an animal is energized and can’t move freely.) Thus we can say that animals are endowed with an innate momentum and this momentum invokes the laws of energy around which the animal mind configures. The current emphasis on cognition misses this point entirely. Self-organizing behavioral patterns are not cognition, but they are not mindless either. They result from emotion elaborating into feelings according to a principle of conductivity. Understanding emotion as the basis of a networked intelligence, a flow system, will prove to be the next frontier. On the flight home I was treated to a spectacular view of the Smoky and Appalachian mountain ranges from the vantage of 32,000 feet. At that scale, all features of the landscape below are softened and the principles of flow that etched the valleys, rivers, cliffs and ravines, roadways and trails into a flow pattern become so obvious. The same pattern was even mirrored in the white billowing mountains of clouds hanging on the far horizon. After leaving the wilds of West Virginia and crossing into suburbia on the approach to Washington D.C., from that great height the housing developments configured around tract roadways took on the appearance of Aztec jewelry, adorned by swimming pools of vivid blue, almost turquoise, affixed by metal surfaces gleaming in the morning sunrise like shiny silver. I tried to imagine it all through the eyes of Adrian Bejan, author of “Design In Nature” to hone my understanding of Constructal law as the basis of all structure, be it animate or inanimate, animal or human. I’m happy to report that our presentation introduced the Constructal law as being of the utmost significance to the animal mind as a flow system. This may be the very first time an academic setting has entertained the notion of Constructal law as the basis for how the animal mind processes information from input to throughput to output. Nature is one ever expanding multi-tiered interconnected flow system, emotion is how we interface and improve our access to its flows. My fears of data dumping notwithstanding, I hope this came across in my talk. Kevin, it was an honor to be part of the experience with you in Tennessee. I am proud of the way we presented NDTand feel so fortunate that there’sa flow pattern for NDT developing here with this conference.Cheers! This is very exciting. Congratulations, Kevin! Congratulations, Kevin- I only know a small part of the tremendous amount of work it’s taken you to get to this point. 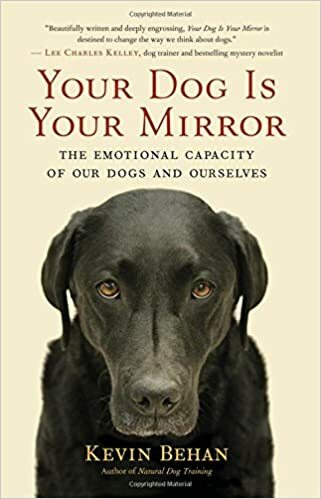 Based on the readability and value of information in “Your Dog is Your Mirror”, I’m willing to bet the data dumping was under control. Science has run out of methods- I’ve said over and over again, the field will have to accept a certain degree of “metaphysical bend” to round out their theories. Just recently a 5 year old child (piano student of mine) suddenly blurted out in the middle of his music lesson, “Miss Anne, God is energy, right?” I was a little more than unsettled, because I was in the middle of reading a book by Dennis Holtje about the energies of light and sound as they relate to God and nature. I asked him if his mom or dad told him so, and he said, “No I’ve always known it.” Now, if a 5 year old child is onto this…..
Kevin, I was so thrilled to see the Facebook post about your involvement in such a conference. Sounds like it was a wonderful teaching platform for you. Really great for attendees to have the possibility of cross-referencing your model with Temple Grandin’s work. Hope to see you getting more of these types of opportunities! Well done!